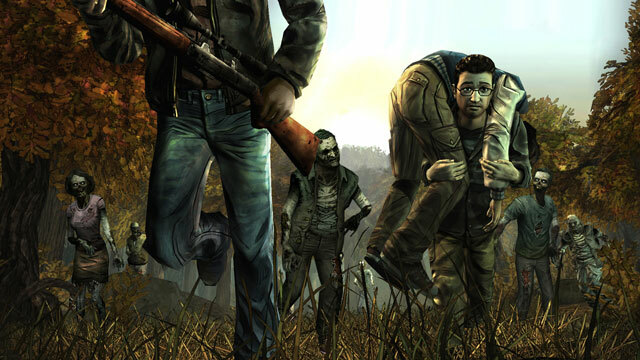 The first episode of Telltale Games’ adaptation of The Walking Dead landed on PSN in May this year. Excited and anxious about its arrival, we hoped the game would be a strong addition to the ever-expanding The Walking Dead franchise and thankfully we weren’t disappointed. With strong visuals, an engaging storyline and some true moral dilemmas we loved every minute of it.Episode 2 – Starved For Food was recently released but can it live up to the first instalment? Starved For Food feels like it’s been a long-time coming but in reality it’s been around 2 months since the first episode. That’s enough time for us to feel like time has stopped but a sufficient and acceptable gap between episodes. Picking up where the first episode left off, Lee and the gang of survivors are holed up outside the motel where episode one culminated. The basic storyline for Starved For Food is that the survivors are struggling with hunger as their food rations begin to run out when two men arrive outside the motel. 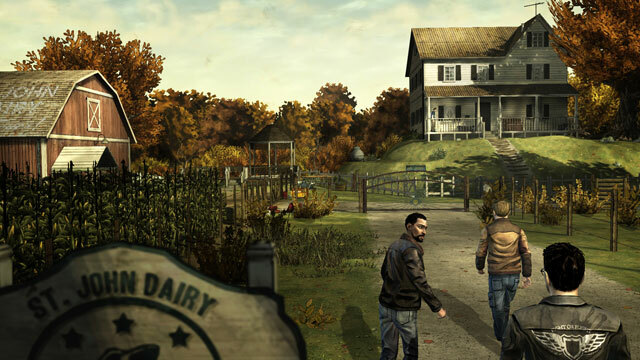 Initially suspicious Lee and Mark go with the two men to their dairy farm armed with gasoline in exchange for food. Upon arrival the St John brothers introduce their mother Brenda and ask for help fixing the electric fence that guards the perimeter of the farm. As word is passed out to the other survivors to make their way to the farm, Lee and Mark star to suspect that their new-found haven isn’t as safe as they thought. We don’t want to give too much away about Starved For Food but what we will say is that it’s a seriously dark story that mixes horror, terror and drama to fantastic effect. Taking a few cues from the series as well as the comic books, the storyline is also inspired by some of the greatest horror movies. The end result is a truly shocking, terrifying and intense experience. We can’t even tell you the amount of times we jumped out of our seat whilst playing or swore loudly at the TV screen. If you thought the choices in episode one were tough then you’re in for an even harder time with this second episode. Decisions are key to the progression of the game and as with the first episode, your actions change the direction of the story. We actually agonised over some of the decisions we made and you can’t help but feel guilty. Decisions range from deciding to kill someone, supporting one character over another, and choosing which characters to offer your limited food supply to. It’s tough, but a necessary part of the game. If you’ve played the first episode then you’ll be familiar with the gameplay and the visuals. The same is applied here and we still love the ease of the control system. Our only minor quibble is that during one very crucial part near the end of the episode we got frustrated with having to get our character movements absolutely spot on for the cursor to change and allow us to interact with another character. This resulted in being killed several times and took a lot of perseverance not to throw the controller out of the window. By the end of the episode – it takes around two and half hours to complete – we were left satisfied, excited for episode three and a little traumatised by how dark the story was. Telltale Games has captured the essence of The Walking Dead so brilliantly that we actually prefer the game to the TV show. Very few games stay with you after you’ve finished them but Starved For Food is definitely one of them. From the stunning graphics to the intelligent, though-out storylines it’s as near perfect a game as is possible. Roll on August for the next episode but until then get your teeth into episode two, turn the lights down and get ready for a fantastic gaming experience.